The Best Tennis Shots In History! Is Federer’s forehand better or is Nadal’s forehand better ? 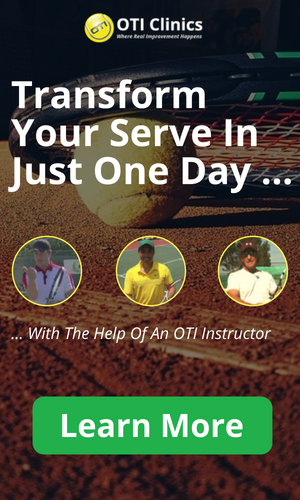 Who has the better serve: Sampras or Roddick ? Who is the best net player of all time ? Since people ask me these kinds of questions a lot, I thought it would be nice to have a page where I talk about my take on the best tennis shots in the history of the game! This is not meant to be a comprehensive list and only reflects my opinion! I would also love to hear any thoughts or suggestions from you guys on who you think has the shots. A great forehand can be one of the biggest weapons in the game. More and more players run around their backhands to hit forehands because they can simply accelerate the ball more with their forehands. Let?s have a look at some of the best tennis forehands in the game. The Federer forehand is widely considered the greatest forehand of all time in the men?s game. Roger has been dominating matches with this stroke for years now. He has incredible technique which allows him to hit this shot with great variety. He can hit it flat or with heavy spin depending on what he wants to do! The Federer Forehand – One Of The Best Shots Of All Time! Steffi Graf won 22 singles majors. Her main weapon that helped her achieve this kind of success was her forehand. What makes her forehand dominance so amazing is the fact that she sliced almost every backhand. The slower slice shot is not as aggressive as a topspin shot and therefore it was slightly more difficult for her to set up her forehand. Whenever she did get to hit a forehand though, she would simply take control of the point with it! Possibly The Most Dominant Shot In Tennis History! Kuerten won three French Open singles titles and reached number 1 in the world. Throughout his career, his strongest shot was his one-handed backhand. Even though Kuerten had solid technique on his one-handed backhand, with all the key body positions in place, this shot was not the cleanest or best-looking one-handed backhand of all time. What made it so great though, was the fact that he could hit it so aggressive on high balls. Most one-handed backhands have a really hard time dealing with high balls but Kuerten was able to hit winners with his one-hander from all situations on the court. 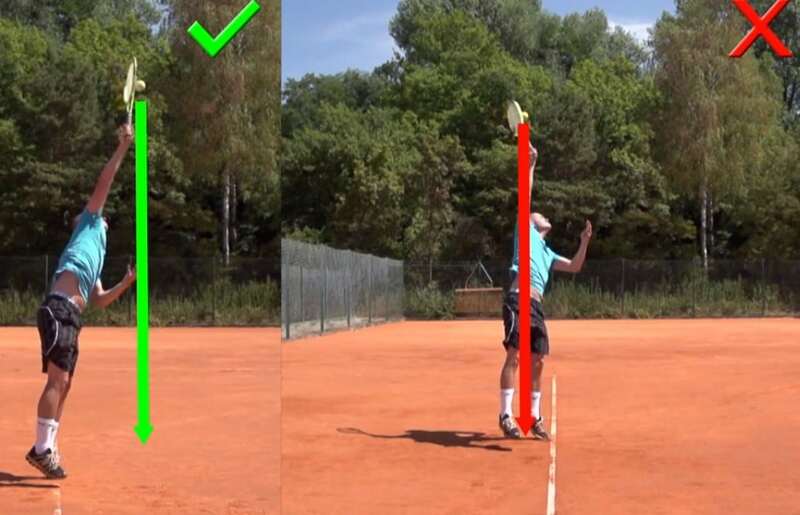 In this video you can see Kuerten’s great one-hander! Djokovic’s backhand is as good as any backhand I have ever seen. The stroke is mechanically flawless and I have never really seen Djokovic struggle with the backhand. It doesn?t matter if he is on offense or defense, the stroke mechanics are so good that he can do pretty much whatever he wants with it. Djokovic practicing – What a Great Backhand! I once heard Brad Gilbert say that Agassi?s backhand is simply a gift from god. The stroke is incredibly smooth and was one of the reasons he became one of the best players of all time! Check out Andre hitting a phenomenal backhand winner! One of the greatest shots of all time is the Stefan Edberg volley. Edberg won six Grand Slam Singles titles and reached the number ranking in the world with his serve and volley game! What makes this so impressive in my opinion is that he achieved all of that with a weak forehand and an average serve! Check out this clip about Edberg’s amazing volley game! Navratilova won 18 Grand Slam singles titles. Her game was built around serve-and-volleying and generally coming in to the net as often as possible. She holds the record with 9 Wimbledon singles titles! Her volleys were certainly the best in the history of the women?s game! Navratilova serve-and-volleying against her rival Steffi Graf! Graf’s slice backhands really stayed low and went through the court fast. This is a common characteristic of great slice backhands. Mediocre shots will float or sit up as tennis coaches would say! Steffi?s slice was fast enough so that she could even hit passing shots with it when her opponents came in to the net! Steffi hitting an amazing winner with her slice backhand! There have been many great servers in the history of the game but I believe Pete Sampras was the most dominant server of all time. Studies have shown that Sampras had a unique combination of high speed as well as high spin rates on his serve that made it so tough to return. On good days Sampras would dominate entire matches against the best players in the world with his serve! Possibly The Best Service Motion Of All Time! The return of serve is considered the second most important shot after the serve. Most tennis experts will agree that Andre Agassi most likely has the best service return of all times. Agassi has incredible hand-eye-coordination as well as great technique. His service return is one of the cleanest tennis shots of all time. He has a very short backswing and sees the ball extremely well, allowing him to hit the clean on almost every return! Check Out This Collection Of Agassi Service Returns! So that was my take on the best shots of all time!